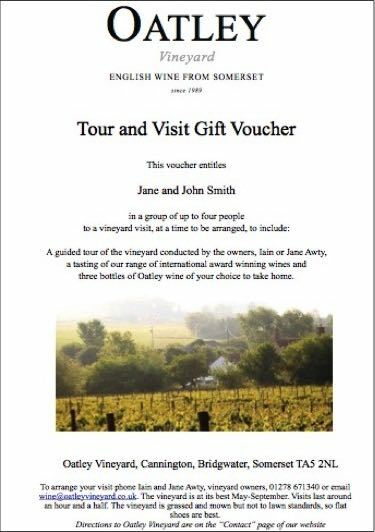 A voucher covers a party of up to four people and will be personalised with your recipient’s name(s). It includes a leisurely tasting of our current range, a tour of the vineyard, both personally conducted by either Iain or Jane. BEFORE you press “Add to Cart” enter your recipient(s)’ names as you want them to appear on the voucher. We will email a pdf file of your voucher to you, for you to print, normally within 24 hours.